Flux Theatre Ensemble produces transformative theatre that explores and awakens the capacity for change. As an ensemble-artist driven company, we believe that long-term collaboration and rigorous creative development can unite artists and audiences to build a creative home in NY. 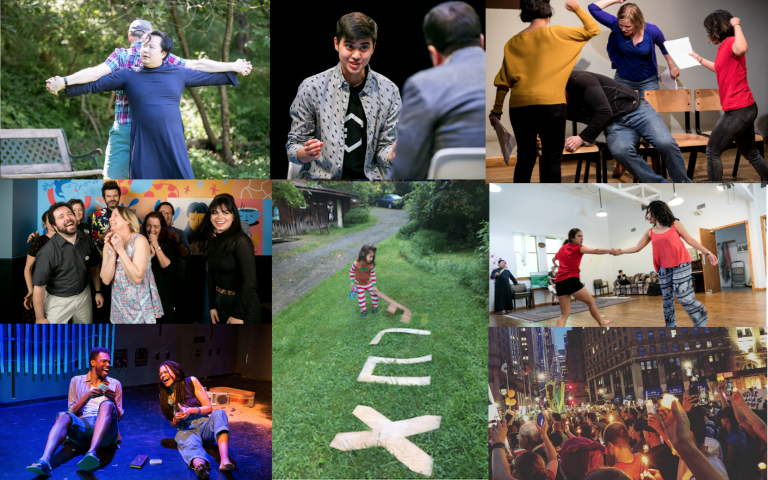 Read our full 2018 End-of-Year appeal language HERE to learn more about our upcoming shows that your donation will help support. For 12 years and counting, we’ve been building a creative home together, and it’s bigger than just the hundreds of new plays we’ve developed or the thousands of electric moments at productions like Dog Act, AM I DEAD?, and World Builders. At heart, we are a creative family, launching multiple marriages and new friendships, with ties that endure across distance and time--can you help us keep that community strong? Please make a tax-deductible contribution today. Flux Theatre Ensemble is a registered 501(c)(3) corporation (EIN: 46-5362560) and all donations are tax-deductible to the full extent of the law.